The Thurton Autojumble, Norfolk is a perfect day out for the whole family. 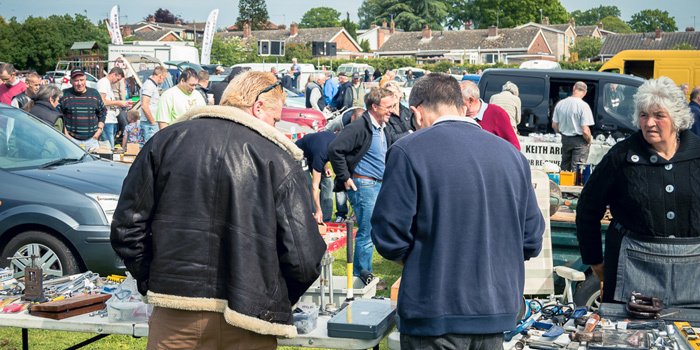 The Autojumble is an opportunity to come along and browse the stalls for car parts for your classic car. At Thurton we have many stall holders and classic car enthusiasts with the parts and knowledge you might need for repairing or restoring your vehiclealong side the Autojumble stalls we have a wide range of craft and trade stalls selling Books, Tools, Craft items, and much more. The Thurton Autojumble is also proud to host it’s annual classic car show. In previous years visitors to the show have seen shows of over 250 vehicles from Mini’s to Rolls Royce’s. This year promises to be no different. Come along this year to support the annual Thurton Autojumble and raise much needed funds for charities in the local community.